Yesterday, on my Inspired in Italy Facebook page, I asked who you all thought would be the star in my “Cooking with” series.. Well, no, its not Marco, my husband nor is it my mother in law. Great guesses though. Well, today, you’ll be cooking with me, Emily. When I first came to Italy, four years ago, I didn’t know a thing about Italian food or anything about cooking. Having a Chef at home had kind of made me embarrassed to try to have a home cooked meal for him when he arrived from work because I knew my dishes just wouldn’t add up to his and would be critiqued. I wasn’t and am not your typical Italian housewife. So, basically what I am saying is, if I can make this recipe, so can you. 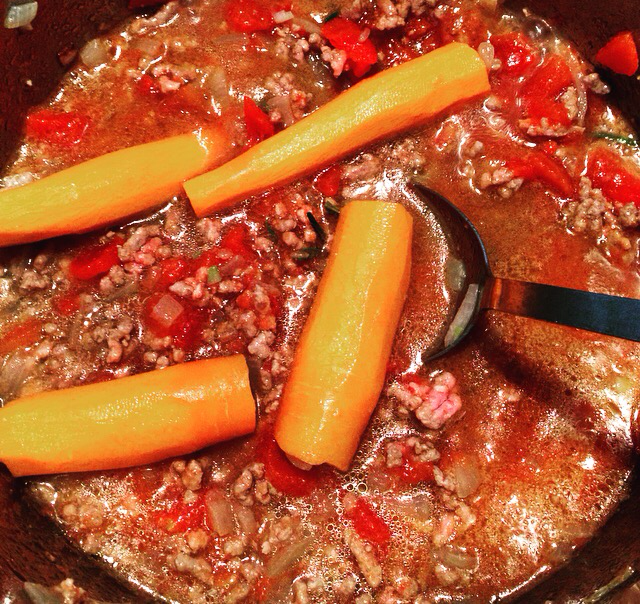 My “suocera” taught me how to make ragu di carne also known as “Bolognese” in America. Now, there are many different ways to make this. 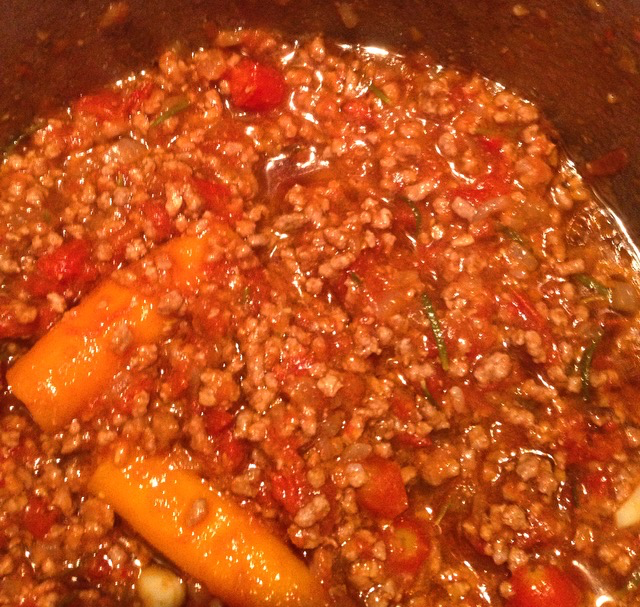 Marco likes to put chopped carrots and celery in his recipe and he uses sage ( salvia) as well. I don’t. 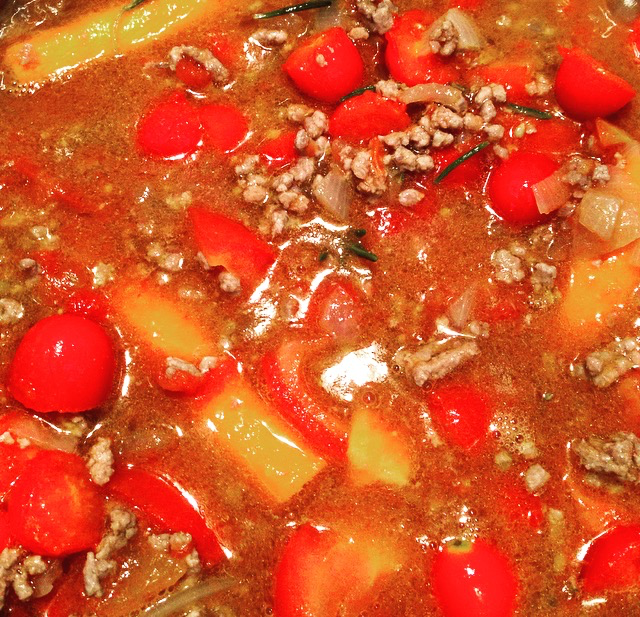 Ragu di Carne is another great sauce to make year round and then to save it, in the fridge for a few days or in the freezer. With this sauce you can make lasagna, it goes really well with taglitale pasta, and a old recipe that I never heard of until Vittorio mentioned it to me is basically Polenta with Ragu di carne. 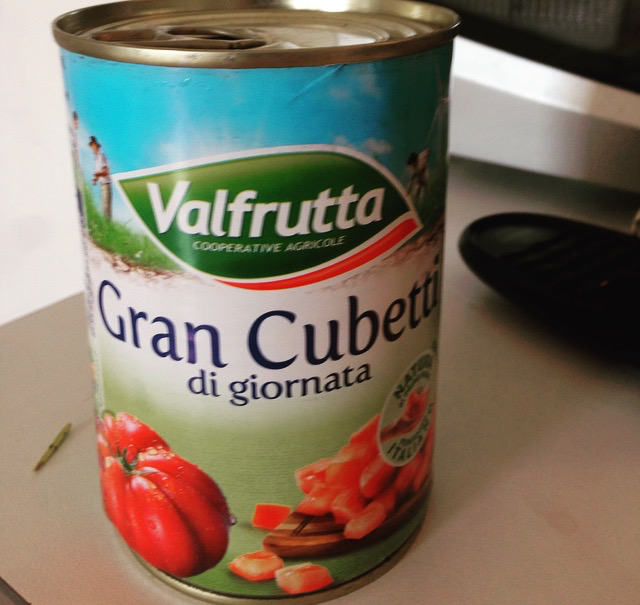 If you have a lot of tomatoes, you don’t need to use a can of tomatoes. It’s a lot easier and less time consuming. Just depends on what you have on hand. 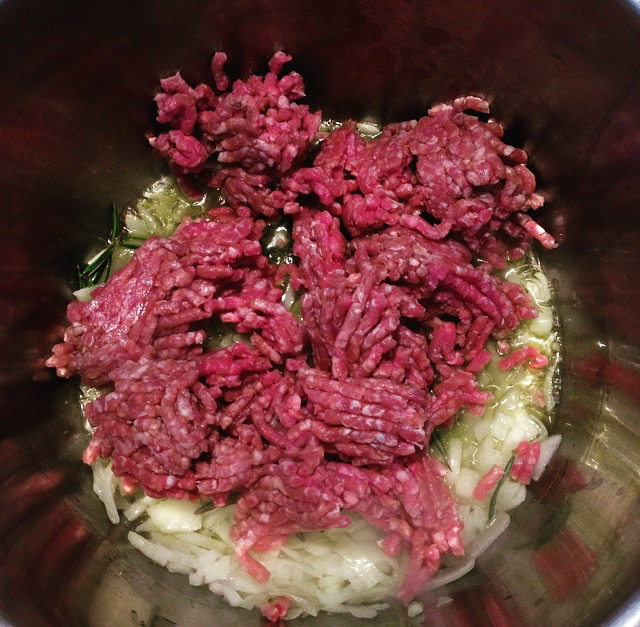 Ok, so once again, I took photos of the process of my ragu di carne. Please enjoy and please let me know if you have any questions. 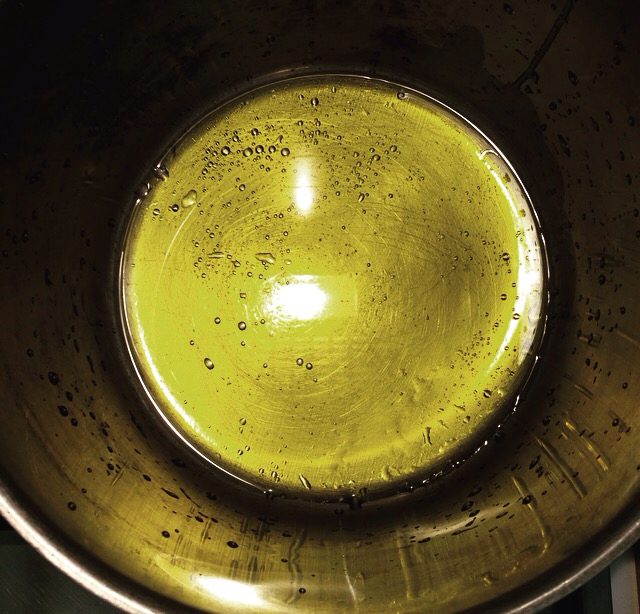 In a tall pan, put quite a bit of olive oil. 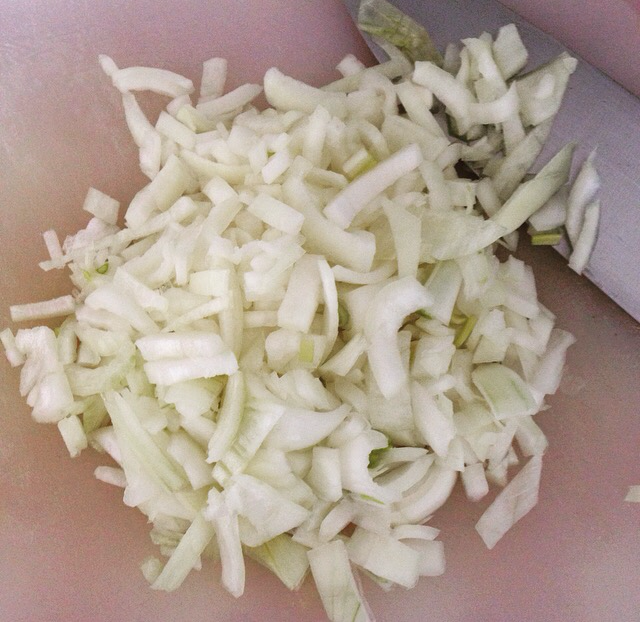 1 chopped white onion or if you’d like you can use Red. 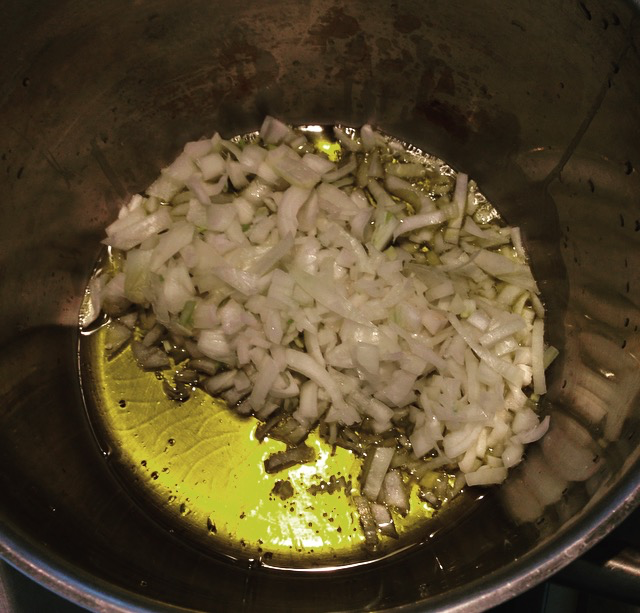 Saute the onion with the olive oil for about 2-3 minutes on medium high heat. Also add 3 cloves of garlic with the onions. 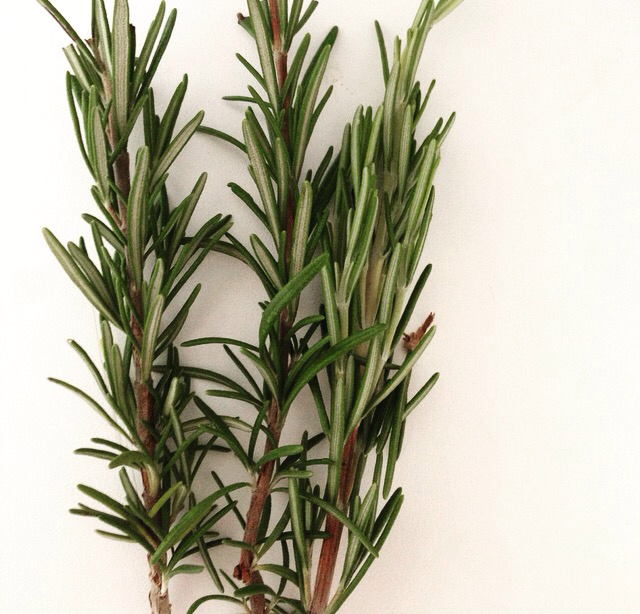 3 twigs of Rosemary. Always use fresh herbs if possible. You’ll take the leaves off and throw away the branches. Add the ground beef directly in the pan. 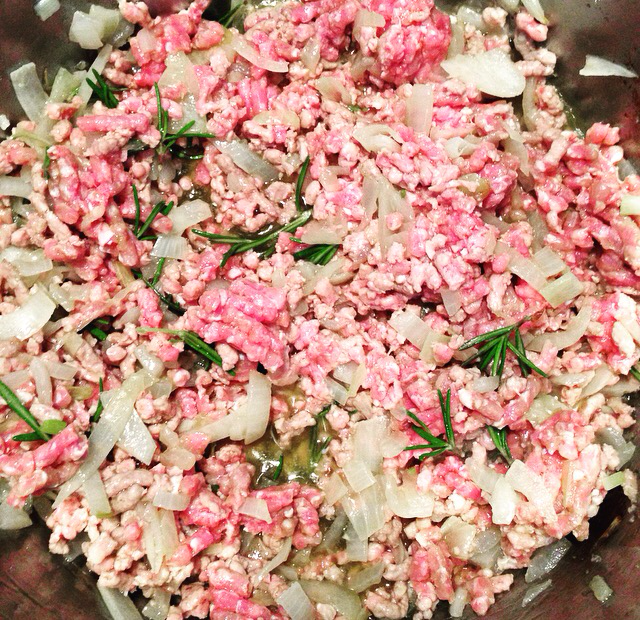 Mix the meat, garlic, onions and rosemary together. Fresh datterino tomatoes and one salad tomato. Slice the datterino in half and chop the salad tomato. 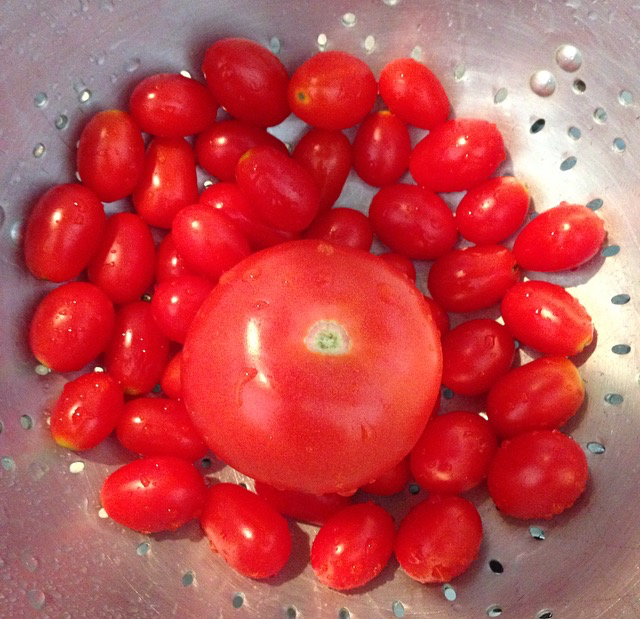 1 CAN of chopped tomatoes. Again, if you have a lot of tomatoes, you don’t need to use a can of tomatoes. 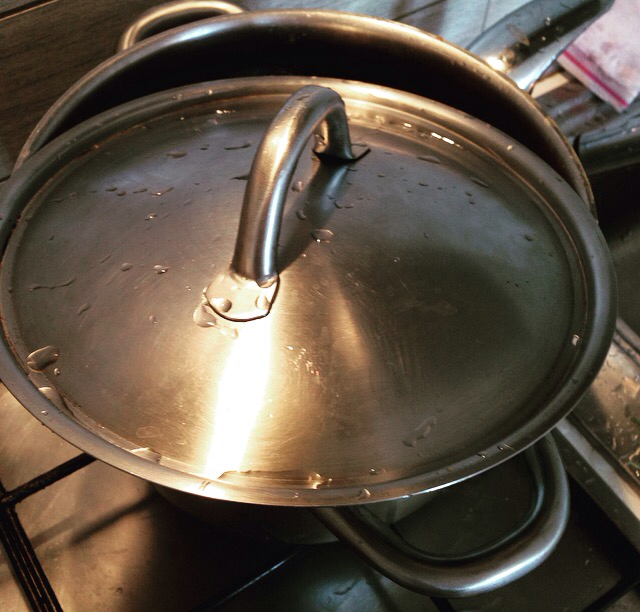 If you use a can, fill up the can with water and put in pan as well. 1/2 a can of water. At this time, I like to add a bit more olive oil. Don’t forget to add salt and make sure to taste it. It’s up to you how much salt to add. I like to keep it covered like so on medium heat for 1.5 hours, stirring every 10 to 15 minutes, making sure it doesn’t burn on the bottom. After 1.5 hours it should look like so. I will leave it on the stove to cool and the bottled it up and either put in fridge or freezer. Please let me know if you try this recipe or any other one that I’ve posted. I would love to hear. Don’t forget to follow me on instagram for more photos of my daily life in Italy. P.s While I had the sauce on the stove simmering, I made a torta di mele ( Apple Cake) without using Butter or Oil. I will share my recipe soon. Non ho mai mangiato una torta di male! Non vedo l’ora per la ricetta.